"She calmed down and put her head on my lap." Sometimes the best medicine isn’t medicine at all. 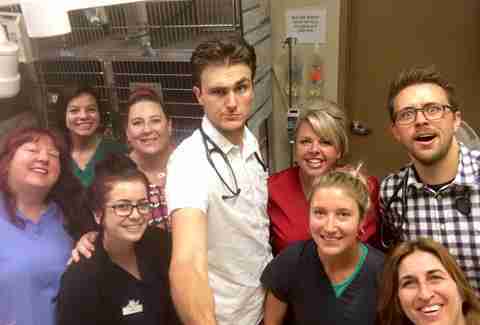 Just ask this kindhearted veterinarian who’s found a way to put his furry patients at ease — with a song. 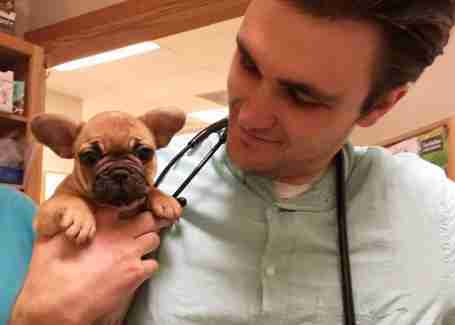 Dr. Ross Henderson, of Fox Hollow Animal Hospital in Colorado, was recently set to perform routine surgery on a fluffy puppy named Ruby. Not surprisingly, perhaps, when the time came for Ruby to be prepped for the procedure, she became a little nervous. Lucky for Ruby, her vet knew just what to do to make her comfortable. Here’s video of that special moment. Henderson says that he and the clinic staff have always sung to their animal patients to calm their nerves and to make them feel more at home, so the added instrumentation was just a logical next step. 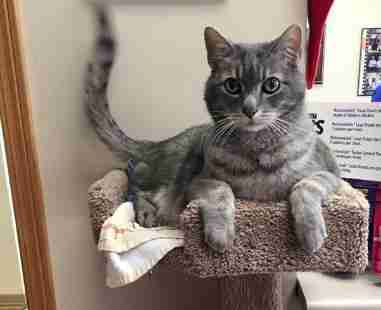 Not all animals, however, are so moved by the clinic’s musical stylings.